I love making a warm blueberry crumble then topping it with a giant scoop of creamy vanilla ice cream. When the ice cream melts ever so slightly atop the pile of warm plump berries and crisp oat topping it just makes me so happy. 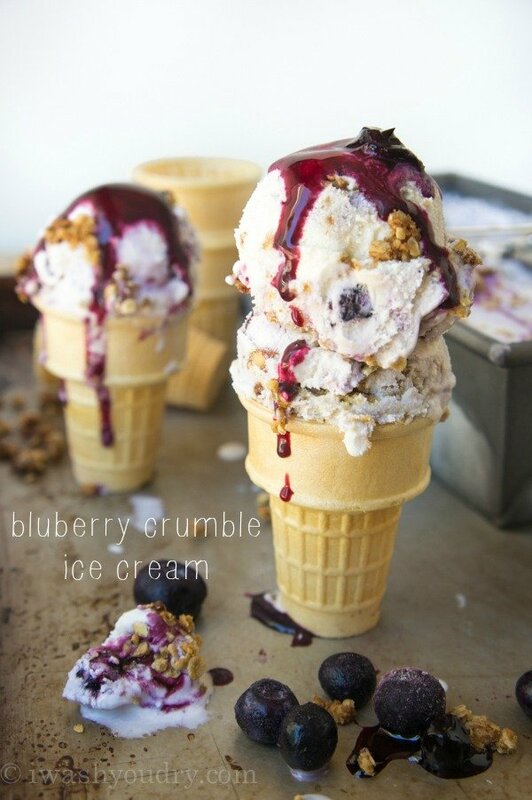 Since it’s National Ice Cream Month, I decided to marry the combination into one out of this world Blueberry Crumble Ice Cream. 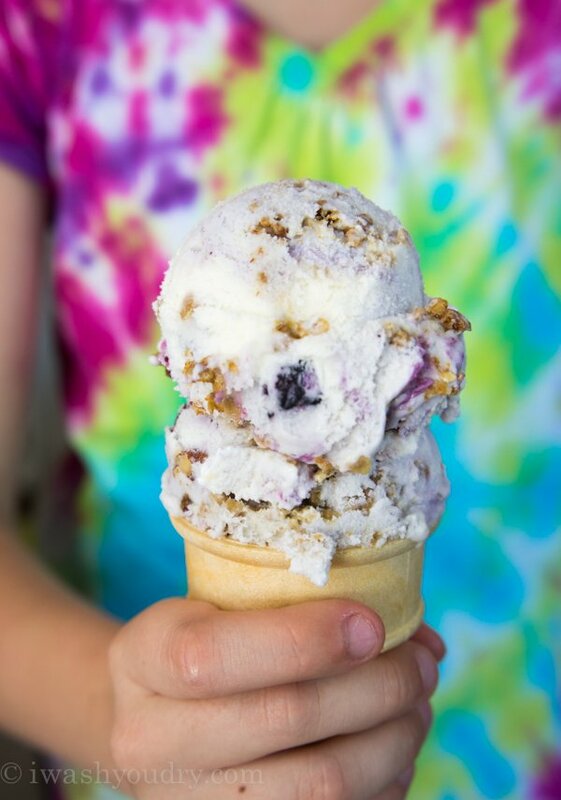 Creamy vanilla ice cream is swirled with plump blueberries in a sweet blueberry sauce, while a crisp oat crumble gives the ice cream a delicious crunch in every bite. I made a very simple vanilla ice cream base that consists of nutrient rich milk and heavy cream. When you make your own ice cream you know exactly what’s going in there, and that’s what I love about it. For the blueberries I made an easy blueberry compote, and then thickened it up a bit with some cornstarch. 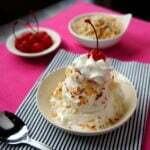 When I added them to the vanilla ice cream I kept a little of that syrup to drizzle on the finished ice cream. I recommend doing the same. It was perfect! I’m absolutely head over heels in love with this ice cream. I mean… just look at this stuff!! Add some more of that sweet blueberry syrup on top. Two scoops are definitely better than one. *Make sure your ice cream maker is properly frozen and ready to use. In a small saucepan over medium heat combine the blueberries, water and sugar. Stir and cook for 10 minutes, gently pushing the berries against the sides of the pan to release juices. In a small bowl whisk together the lemon juice and cornstarch, then stir into the blueberry mixture. 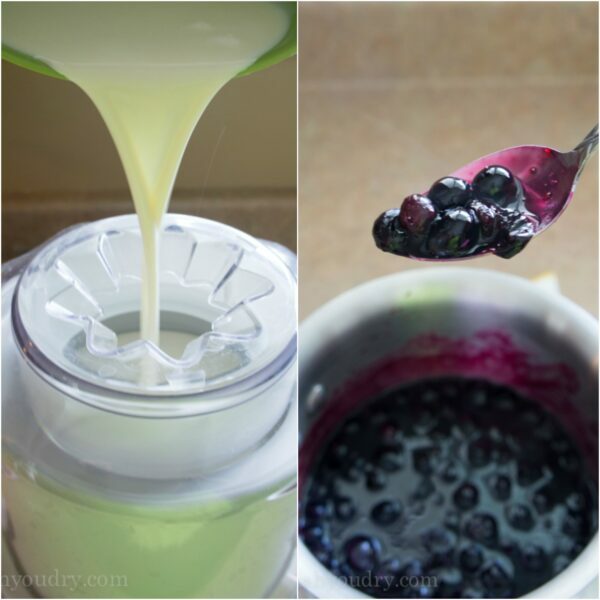 Cook until the blueberry sauce begins to thicken, then remove from heat and bring to room temperature. Pre heat oven to 400 degrees F. In a medium bowl combine the quick oats, brown sugar, melted butter, flour, chopped nuts, and cinnamon, stir together. Spread the oat mixture onto a baking sheet in a thin layer. Bake for 8-10 minutes or until the oats are golden brown. Let cool, and set aside. In a large bowl, whisk together 1 1/2 cups of milk and 1 1/4 cups sugar until the sugar is dissolved. Add 3 cups of heavy cream and 1 1/2 tbsp of vanilla extract and whisk to combine. 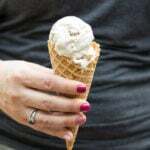 Pour into the base of your ice cream maker and let churn for 25-30 minutes, until soft serve consistency. 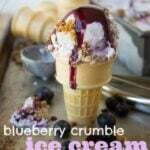 Once the ice cream is ready scoop it into a large bowl and add 1 1/2 – 2 cups of the blueberry compote (reserving the rest for a sauce), gently fold in the blueberries. DO NOT OVER STIR. 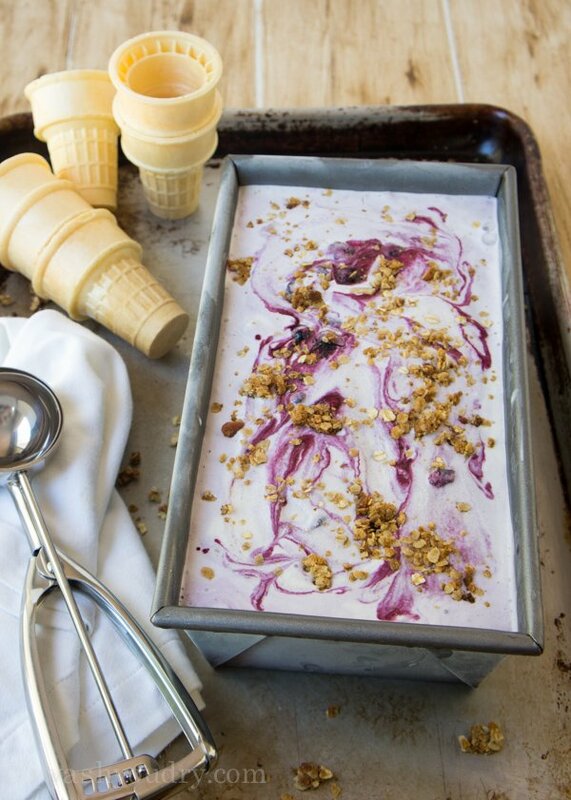 Break up the oat crumble mixture into small pieces and add it to the ice cream, fold it in gently. 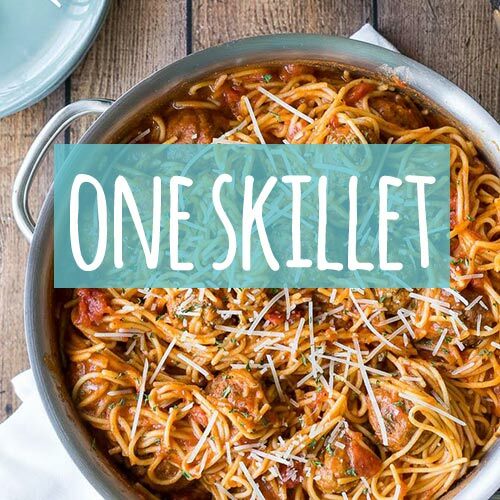 Pour into a freezer proof pan (I used my 9″x5″ bread loaf pan), and place in the freezer for 3-4 hours or until desired consistency. Serve with the extra blueberry sauce on top if desired. 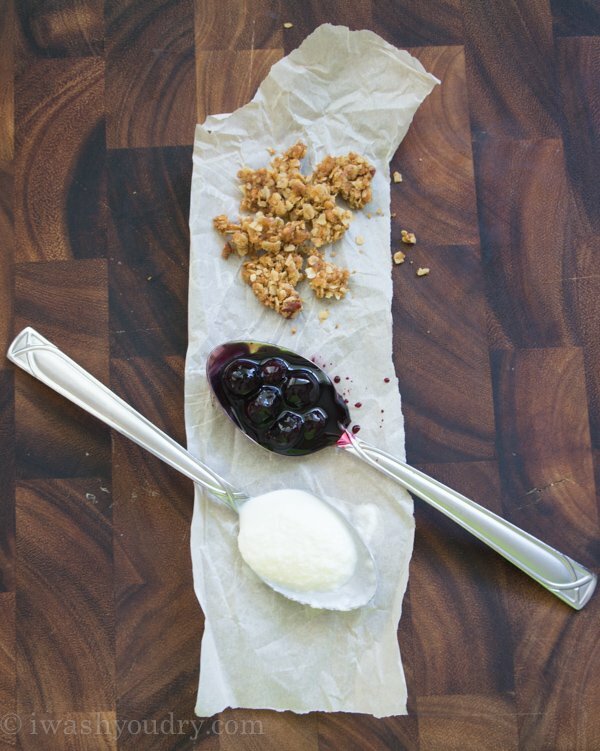 To make this ice cream super easy, try using blueberry pie filling in place of the blueberry compote, and a store bought (oat based) granola in place of the oat crumble! Quick and easy! 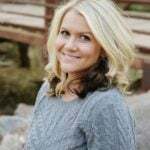 disclosure: This post is brought to you through my partnership with Arizona Milk Producers. 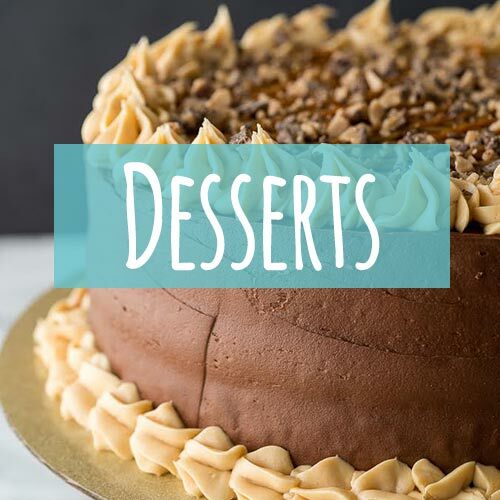 I am proud to be an ambassador for them, and create dairy-licious recipes like this one! All thoughts and opinions are my own. To stay up to date on dairy nutrition subscribe to The Dairy Download, a monthly newsletter from National Dairy Council® (NDC) highlighting health and nutrition in the news. can this be made without an ice cream maker? It looks so good! I have not made it with out an ice cream maker. 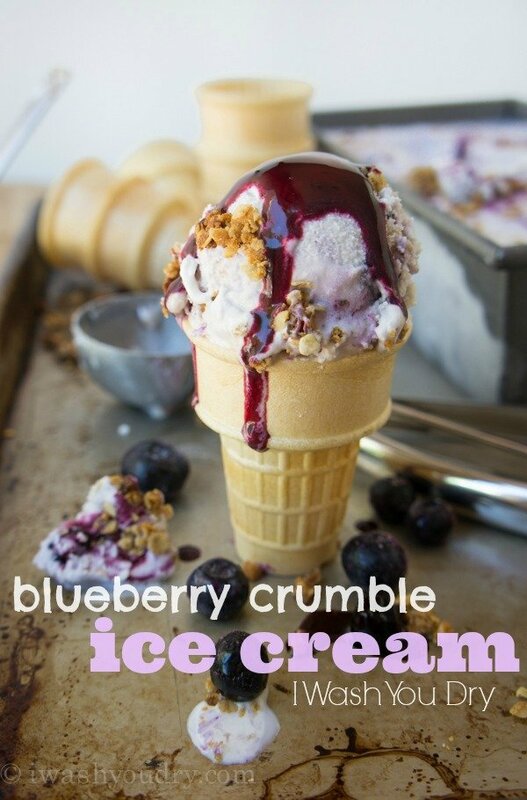 Wow, what a great way to combine two of my favorite things – blueberry crumble and ice cream! wow that ice cream looks amazing! Thanks Rachel!! 🙂 It’s my new favorite ice cream! Great way to celebrate blueberries! I love the crumbles in the ice cream!!! I’m melting in my house today and need this in my life!